To understand why some cancer cells resist radiotherapy, an international team of researchers used crystallography to capture the first moments of the molecular ballet that allows these cells to repair their DNA. 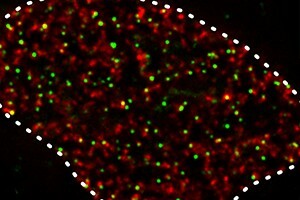 This study was conjointly conducted by the groups of Patrick Calsou (Institut of Pharmacology and Structural Biology, (IPBS) CNRS, University Paul Sabatier - Toulouse III, équipe labellisée Ligue Contre le Cancer) and Jean-Baptiste Charbonnier (Institute of Integrative Biology of the Cell (I2BC), CEA Paris-Saclay, CNRS, University Paris-Sud). 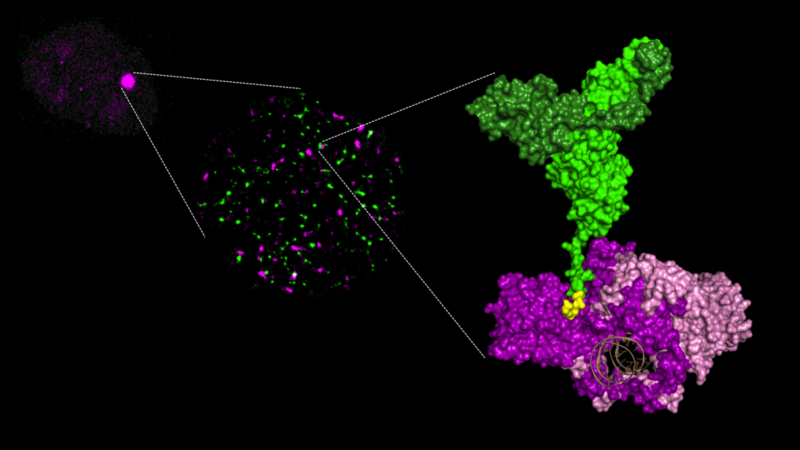 It is published in Nature Structural & Molecular Biology. Radiotherapy is a critical tool in cancer treatment. Prescribed in one in two cases (i.e. 200,000 cases per year in France), the high energy rays used destroy cancer cells by fragmenting their DNA. However, in tumours, some cells can resist treatment by repairing the breaks in their DNA. To increase the effectiveness of radiotherapy, for instance by inhibiting DNA repair within the tumour, researchers first need to get a detailed understanding of how these repair mechanisms work. Several current anticancer treatments kill cancer cells by inducing DNA double-strand breaks, a highly toxic DNA damage in which both strands of the DNA molecule are broken. Some cancer cells manage to survive these breaks thanks to DNA repair mechanisms. Researchers from the Institut de Pharmacologie et de Biologie Structurale deciphered one of the key initial step of these repair mechanisms. This work, published in Nature Communications, also identified several potential drug targets for anticancer treatments. When DNA is damaged by breaks, specialized enzymes mobilize to repair them and, among other activities, generate small DNA fragments. Researchers at the Institute of Pharmacology and Structural Biology show that these fragments regulate the choice of repair pathway. 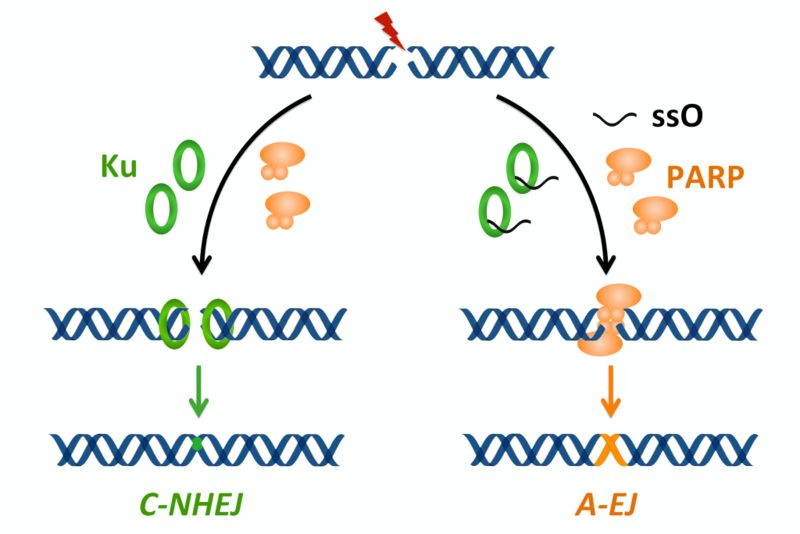 This study published in the journal Nucleic Acids Research opens new perspectives for understanding the cellular response to DNA breaks. It was known that when DNA is damaged by breaks, specialized enzymes attach themselves to these breaks to repair them. Researchers at the Institute of Pharmacology and Structural Biology have just discovered that, on the other hand, several proteins are actively removed from the break to avoid the accumulation of toxic structures. The discovery of this phenomenon, which is essential to maintaining the stability of our genome, published in the journal Nucleic Acids Research, provides a better understanding of how our body protects itself from the harmful effects of DNA breaks.